Marvel’s Avengers: Infinity War, which features an ensemble of superheroes, will release in India a week before it opens in the US. The much-awaited movie will release in India on 27 April, 2018. It will open in the US on 4 May. “With every title, the popularity and fan following of Marvel’s superheroes has grown exponentially in the country. 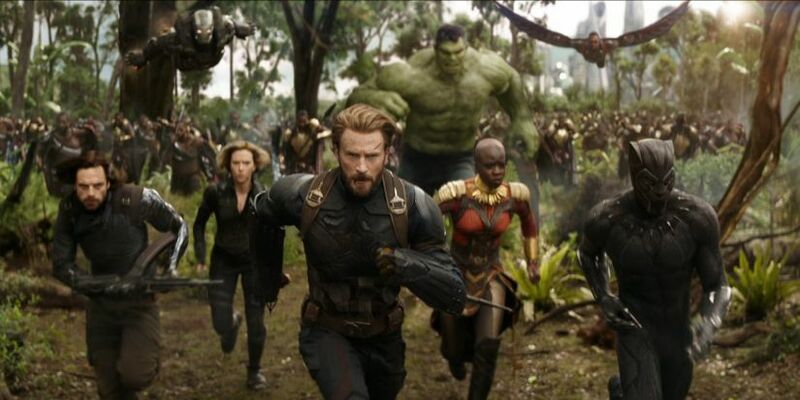 Through the unique storytelling, action adventure, quirky humour and superlative content, Marvel movies are among the most-awaited movies in India,” Bikram Duggal, Head of Studio Entertainment, Disney India, said in a statement. “And the initial peek through the trailer has quadrupled the expectations and response. With so much love and anticipation around ‘Avengers: Infinity War’, we decided to make the movie special for Indian fans by releasing it earlier by a week before it opens in the US,” Duggal said. The first official trailer of the third instalment in Avengers franchise was released on 29 November and crossed 230 million views in just 24 hours. Avengers: Infinity War stars Robert Downey Jr, Chris Evans, Chris Hemsworth, Scarlett Johansson, Mark Ruffalo, Chris Pratt, Benedict Cumberbatch, Tom Holland, Gwyneth Paltrow, Tom Hiddleston, Peter Dinklage, Bradley Cooper and Vin Diesel. Anthony and Joe Russo are directing the film.